The border crisis rages over the debate of physical division, but another detrimental crisis has arisen: the thick barrier separating the political parties in ideology, cooperation, and tolerance. As the journey to assess the issue grows farther and farther away from compromise, the current United States is truly not in a state of unity. On Tuesday, Jan. 8, the citizens of the United States awaited President Trump’s first oval office address, a potential step closer to compromise and a step to ending the longest government shutdown in United States history. Suppressing this glimmer of hope for Americans, President Trump’s address voiced his refusal in compromising his highly extravagant and costly plan, while democrat speakers Nancy Pelosi and Chuck Schumer voiced their refusal to approve this plan. The way in which to increase border security is not agreed upon, but the foundation of the issue is. So why then can’t the two sides work together to find middle ground if their foundational ideals are the same? Immediately following the election of President Trump politics were cutthroat. Scandal after scandal, democrats tirelessly work to find incriminating information on Trump in attempt for impeachment. Time after time, Trump tweets derogatory claims about Democrats and others working against him. As this animosity thickens, this “crisis” has become more about proving which side is right and determining who will come out on top than actually resolving the issue. Both sides embody a flaming hatred for the other side, causing politicians to lack the sense of perspective and want for compromise. A barrier stands between the ideal middle ground and in order to move forward as the United States, the barrier must be broken. Rather than working to uncover the truth and utilize the truth to determine how to resolve the crisis, facts are being manipulated to prove the other side wrong and to provide leverage toward their side. If the people can no longer trust the government, the entire foundation of the United States, founded on freedom and of truth, are lost simply for the sake of proving who is right and wrong. Trust in the government is not only being lost due to misinformation, but also due to the current government shutdown that withholds the paychecks of 800,000 federal workers across the nation. Many of those deprived of their paychecks cannot survive without this stable income provided by the government and will face increasingly more economic instability as the shutdown continues. Once again, both sides blame one another. 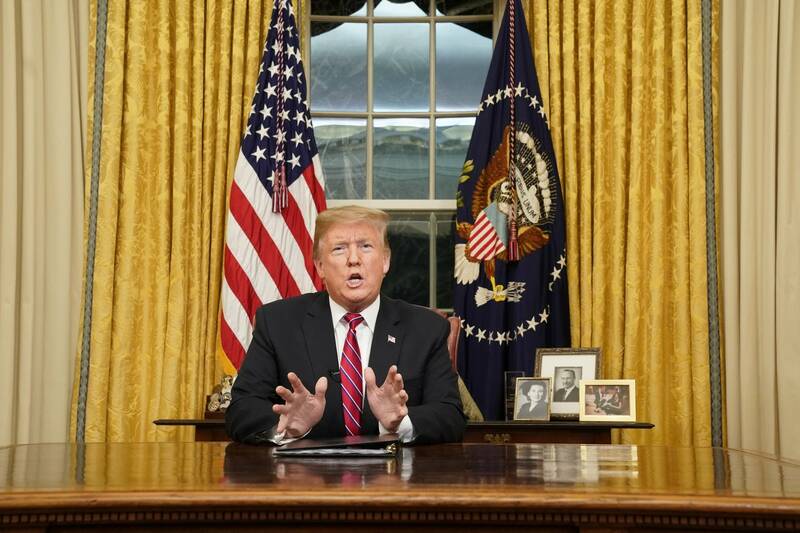 In his address Trump states, “The federal government remains shut down for one reason and one reason only: because Democrats will not fund border security,” using the shutdown to place blame upon democrats. Similarly, Schumer said, “There is no excuse for hurting millions of Americans over a policy difference,” placing the blame back on Trump for his initiation of the shutdown and refusal to uplift it. As the nation drifts further away from compromise, the truth, and perspective the future becomes unclear. Thousands of Americans watch as their incomes are stripped away and their news is manipulated. Today, looking to the politicians, the government, and the society we live in, it is hard not to wonder: Is this really worth it?